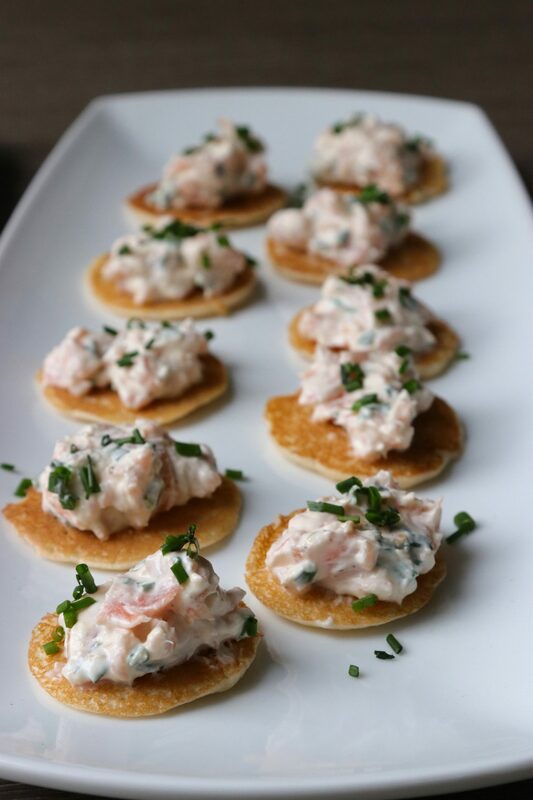 Combine the smoked salmon, with the lemon, fresh chives, salt and pepper, and crème fraîche. Keep some of the chives back for a garnish. 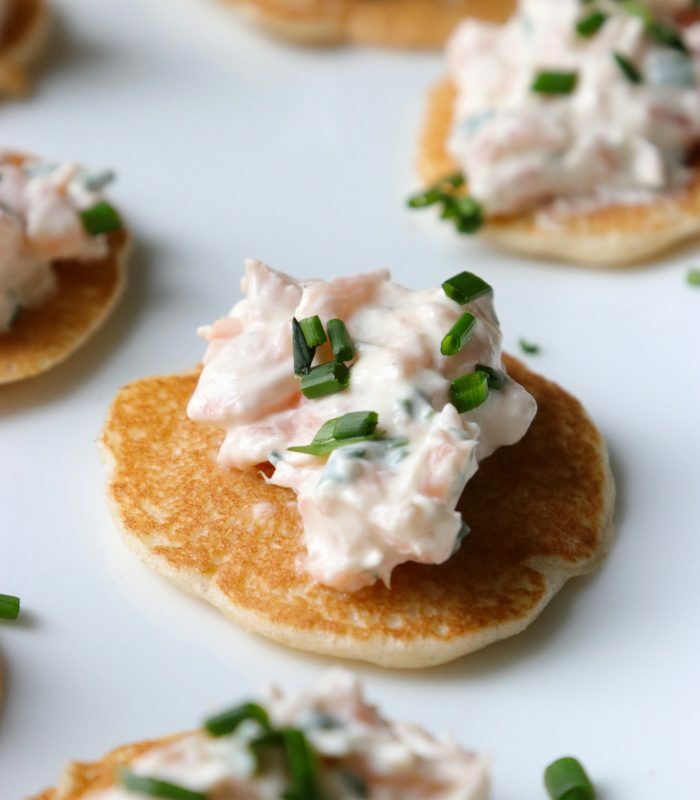 Add a spoonful to each blini and serve. This mixture keeps and freezes really well.